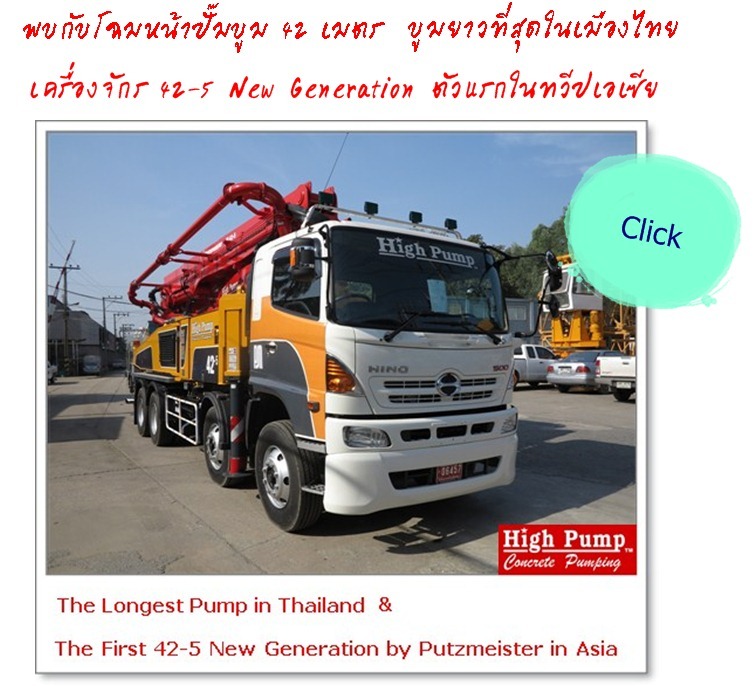 Concrete Pumping By High Pump has set up since C.E.2007. We always improve our skills, staffs and machines to serve your several requirements as Moli size S M L, Boom 22, 32, 36, 38, 40, 42 Metres, 4-wheel Boom Truck, 6-wheel Boom Truck, Crane 30Ton and Passenger Hoist for Bangkok and Upcountry. Copyright © 2008-2018 High Pump Co., Ltd. All Rights Reserved.